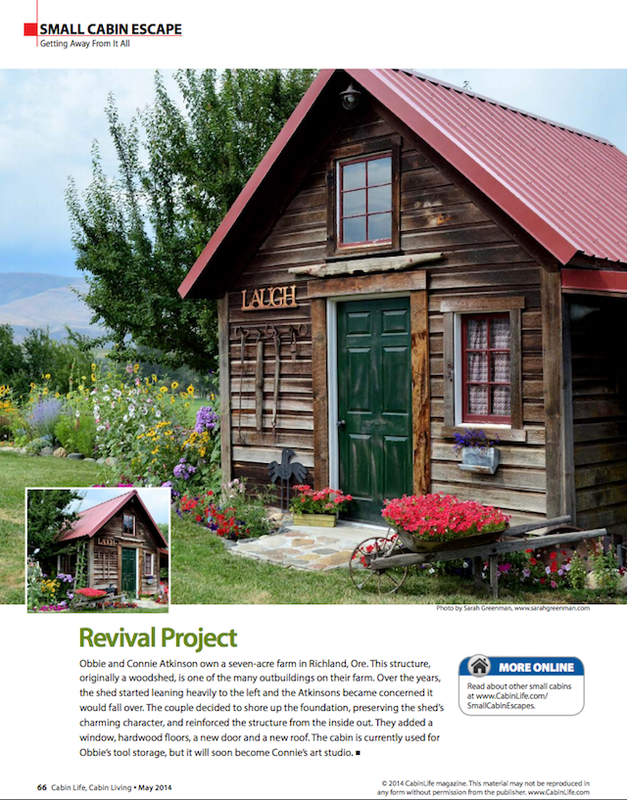 The May issue of Cabin Life Magazine is hitting news stands today. Page 66 features two of my photos! This is a very recognizable place to most of you. It's my Mama's tool shed, one of the many outbuildings on her land in Eastern Oregon. She and her husband have lovingly restored it over the past few years, rebuilding it from the ground up, while also keeping as much of the old structure in place as possible. 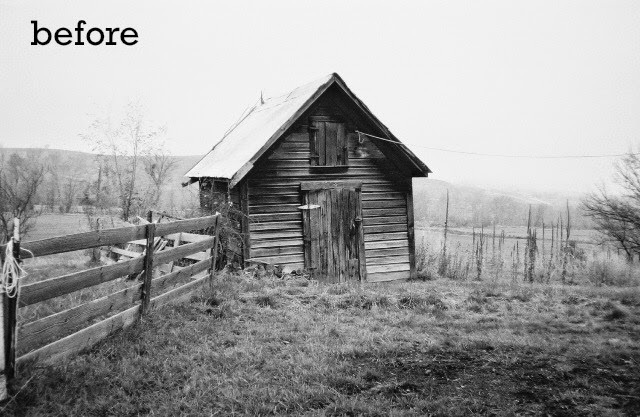 Here is what the shed looked like when my Mama moved onto the land. I'm so pleased that my mother allows me to photograph her amazing work and exploit her talents. This week I also published a feature article via Houzz.com about her recent bathroom remodel.